So the sun has decided to come out which makes everyone here at Sport-locker.net very happy! We won’t be donning shorts just yet, but if the weather continues, it won’t be long until we are back on the golf course. MyFly Technology offers a simple solution for golfers to optimize trajectory and distance. The Driver can be adjusted to the following lofts with a simple wrench; 8.5°, 9.5°, 9.5° Draw, 10.5°, 10.5° Draw and 11.5°. With MyFly, golfers can now customize their club based on swing speed (higher lofts for slower swing speeds and lower lofts for faster swing speeds), weather (lower lofts to bring ball flight down on windy days) and course conditions (higher lofts for more carry). 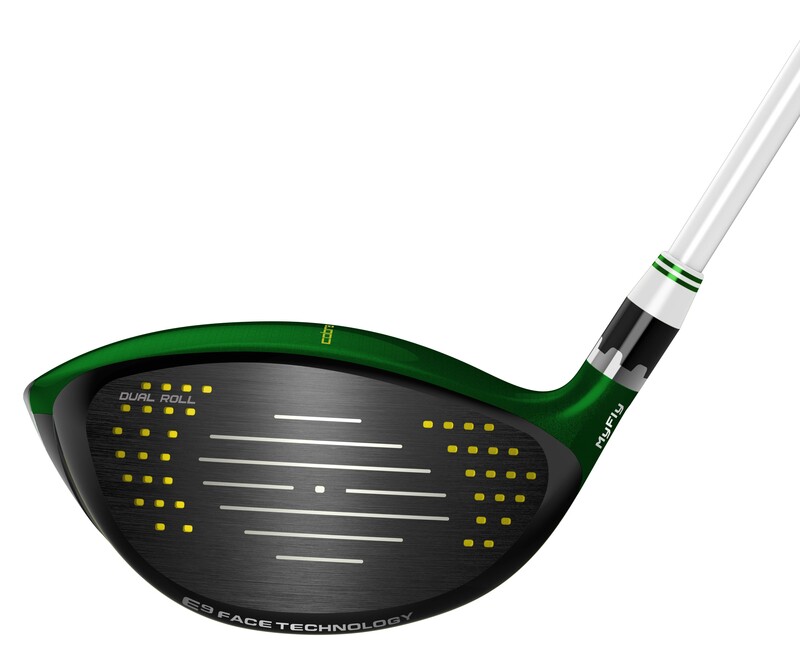 COBRA’s E9 Face Technology with dual roll provides an elliptical face shape with a canted bulge and roll that improves distance and accuracy on mis-hits from heel to toe and above and below the centerline. Advanced Material Placement and Cell technology work together to enable a 12% larger elliptical E9 Face shape to deliver faster ball speeds and high MOI (moment of inertia) on mis-hits. The Cell technology saves and redistributes weight in a granular way and is visible on the drivers in the Cell band which wraps around to the crown. 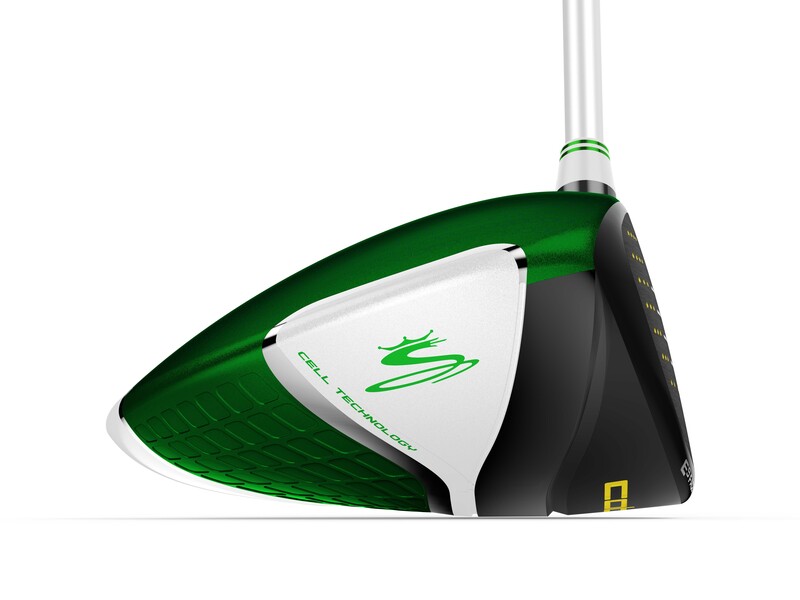 This wrap also visibly shows a golfer where the weight is distributed, with the Driver having a CG optimized for low-mid handicap players. 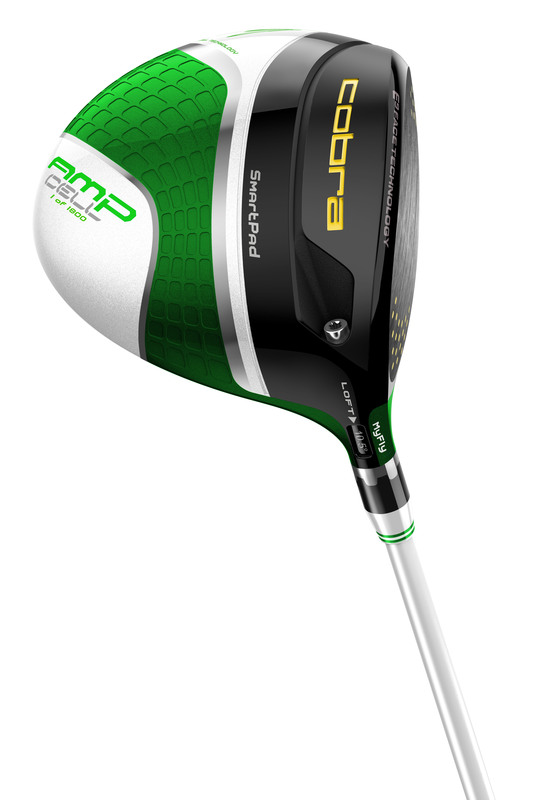 The AMP CELL Limited Edition Green Driver is available in right handed models with My Fly technology which allows any driver you purchase to be adjusted from 8.5° to 11.5° loft settings, including 9.5° and 10.5° draw settings. It is available in Stiff and Regular flexes and features a Diamana Blue Board Shaft (60g S and R, 55g L and 45.75” length). The grip and Limited Edition Headcover and Wrench match the head of the driver in Season Opener Green. What do you think of the limited edition colour? Have you used the driver? Let us know in the comments section below or on our Twitter and Facebook pages.